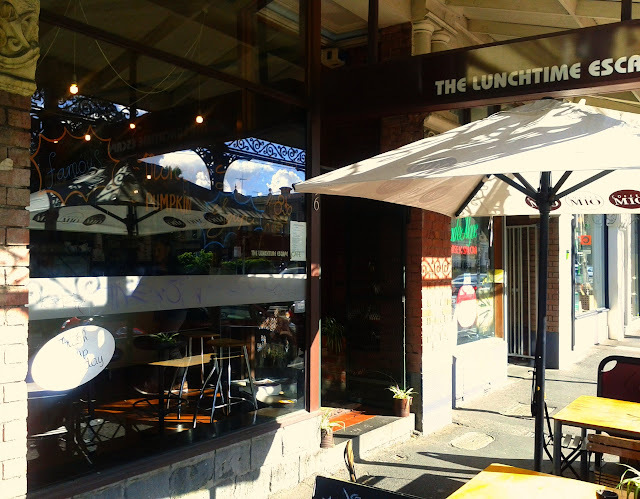 It was time for another lunch with Brendan and we ventured slightly further into Fitzroy to the Lunchtime Escape. It's on the generally trendy Gertrude Street, but in the stretch sat opposite the Fitzroy commission flats where things are a bit more basic. 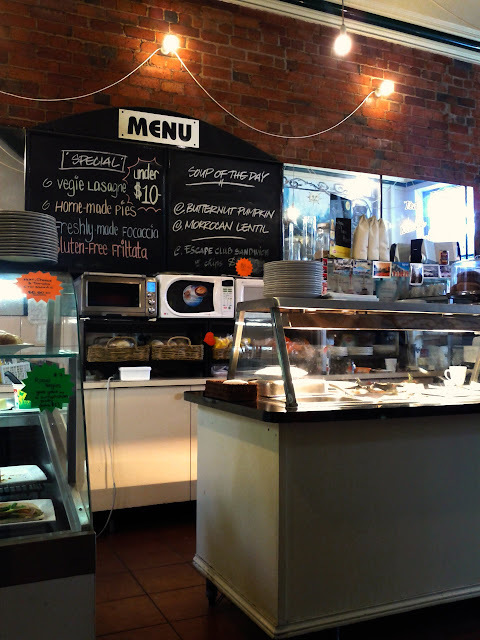 This doesn't detract from the smart Victorian/Edwardian building that houses the cafe, with tables set up outside. The interior featured bare brick walls and high ceilings with basic cafeteria style hot plates and the limited menu up on the wall. There were a few other tables occupied when we arrived, but it certainly wasn't busy. Brendan selected the club sandwich special which included chips and a soft drink (or maybe even a coffee...) all for $10. 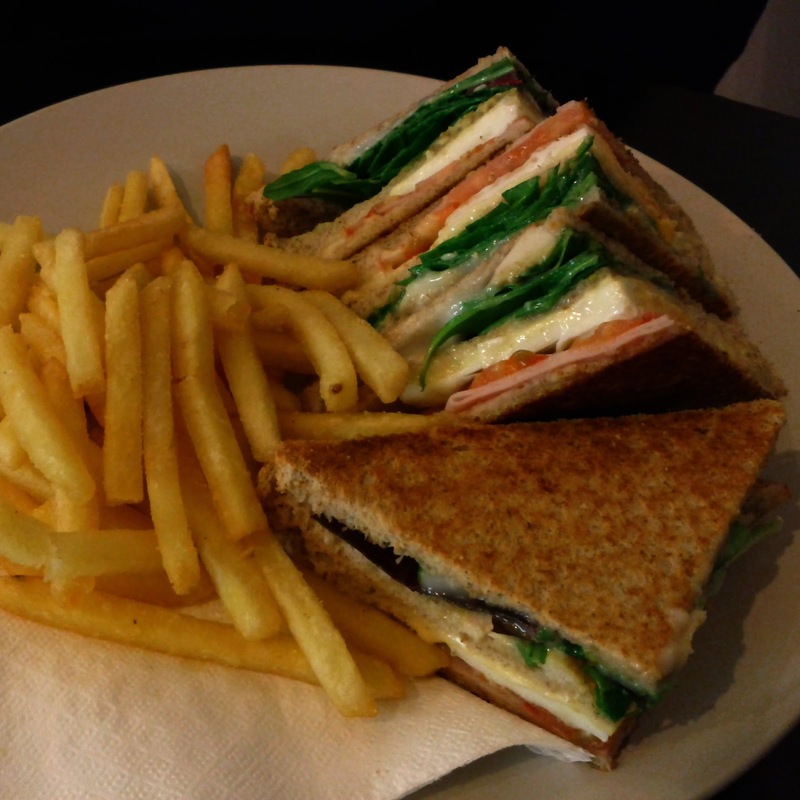 It looked good and happened to be his first club sandwich and he seemed to enjoy it. 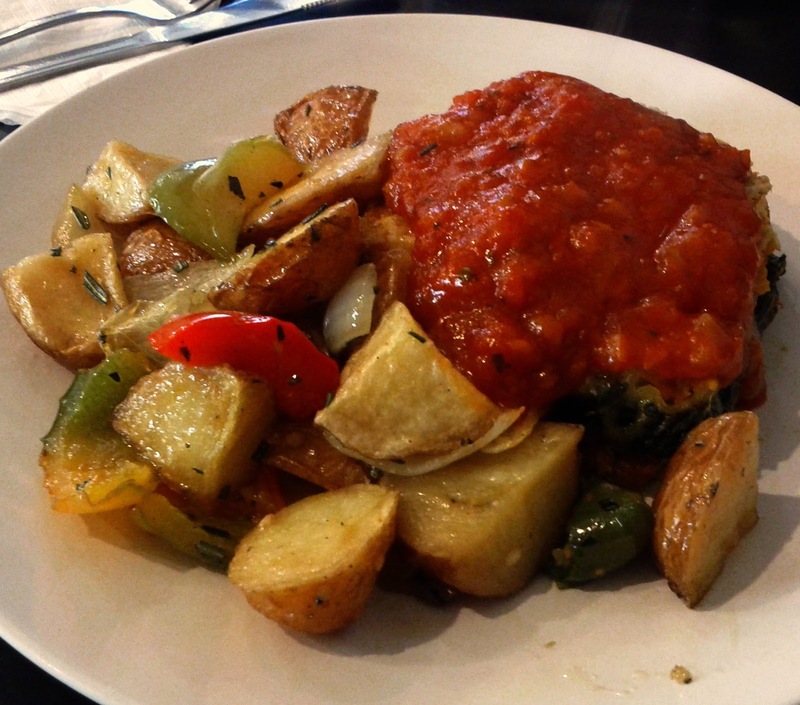 I went for the veggie lasagne, which I was going to have with salad, but the friendly waiter recommended the potatoes and capsicum. The meal was satisfying without being exciting, the tomato covering of the lasagne was different to the usual cheese, but did provide plenty of moisture. The service was very friendly and prompt. If you are after a basic and satisfying lunch it this would be a good place to escape to.